There are times when some nopCommerce store admins finds themselves in a situation when the default registration form fields are not enough for their needs (if they would like to manage more information of the customers). In reality, it can be a very difficult task for a non-technical store admin to dive into the code and make the required modifications (in code and the database) for adding custom fields. A lot of users were facing this issue in the previous/old versions of nopCommerce as there was no way to accomplish this unless the user makes the modifications in the code / database. 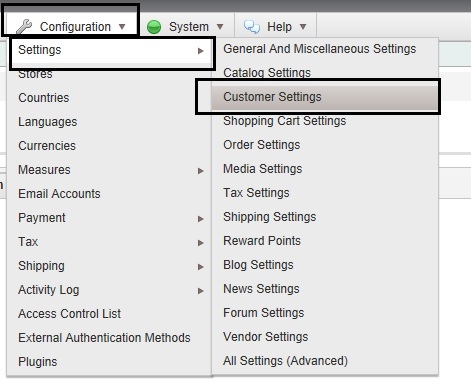 In order to overcome this issue, a feature (option) was added to the nopCommerce project in the administration section that allows store admins to add custom fields in a user-friendly way. Today we will go over this long awaited feature that was added to nopCommerce ! 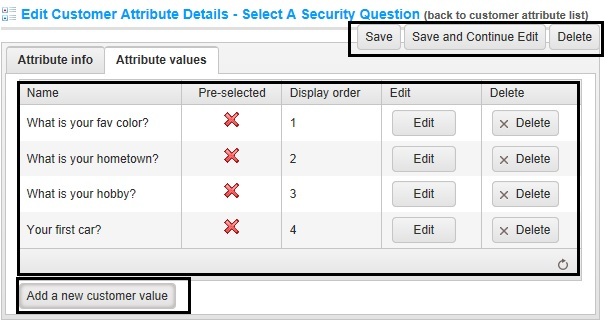 Go to "Customer form fields" tab and at the bottom you will see the option for adding "Custom customer attributes" - Click on "Add"
Hit "save and continue" and then click on "Attribute values" tab for adding the dropdown values. Click on "Add a new customer value" button to fill in the values. Make sure you "SAVE" all the values. 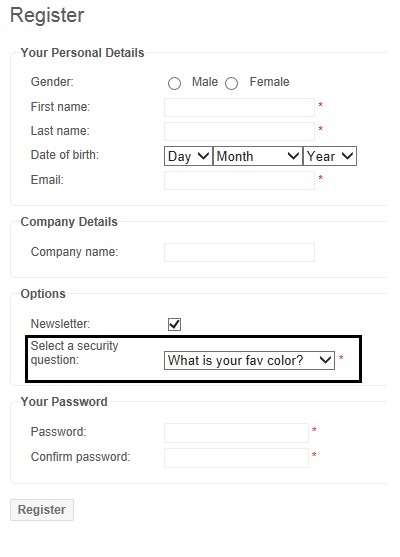 In the case of this example - You can simply add a text box for entering the values for the security question (in same pattern as discussed above). 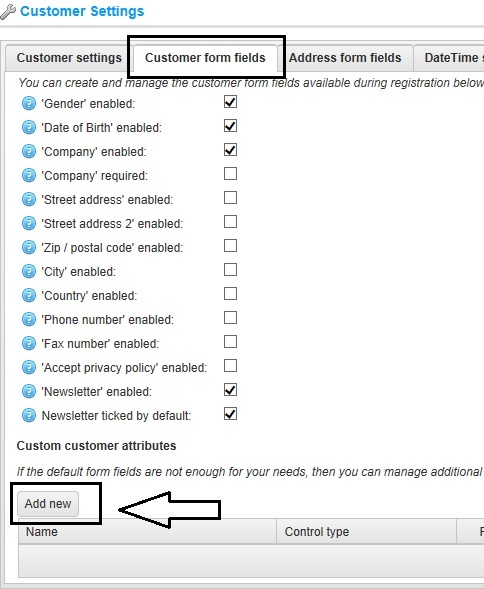 Hence, you can add custom fields on your "Register" page according to your requirements / needs. UPDATE: There is an issue (bug) in nopCommerce 3.40 that limits the values to be saved in "custom textbox" field (lengthwise) and user can only save upto certain number of characters (I think 4-5 characters only). Save changes and try saving a longer value in your custom textbox - Now, you should be able to save any value (of any length). sir ,is this field add in database?? if yes then in which table??? Yes, all the custom fields are added in the database. Can you add custom fields but not display them, I want to add a field but only have it be edited in the admin, it should not display to the user. or NopCommerce saves in database in XML format? @Randell, you will have to make some custom modifications in order to accomplish that. 1.How to add validation message for custom field in registration. 2. Change id and name of custom attribute. I tried this using a text box, and I entered "This is a test" into the text box field. Yet when it saved, it only saved the word "This". Why is this? Is there a definition for the length of the textbox value? @Jon - What version of nopCommerce are you using? Thanks very much, I look forward to your findings! ANSWER: You cannot change the ID or name of custom attribute because if it dynamic and making changes to the default code (view) might break the functionality. If your requirement is to add a custom field with a specific ID or name attribute then you will have to make customization in the code and not use this dynamic feature of adding custom field. You can customize the code and add the field directly to the customer database table and map everything accordingly. @Jon - I did look into the code and tested the custom textbox field for you. You are absolutely correct - The textbox limits the length and it is a bug. I have updated this article and posted the "fix". Please apply it to your solution and it should resolve your problem. Lavish, thank you very much, that takes care of the issue!